Aanand L Rai and Shah Rukh Khan collaborating for the first time had already created enough anticipation. But the superstar playing the role of a dwarf created furore considering that he will be seen in such a role for the first time. While there have been many reports doing the rounds about the film’s title, now the makers have finally decided to reveal the same. 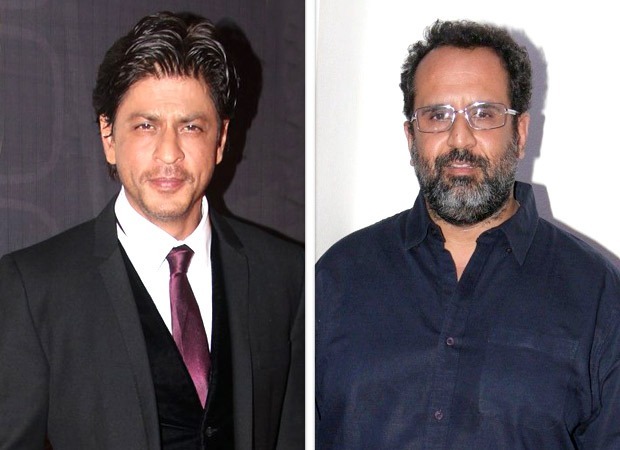 Today, as we gear up to kick off 2018, Aanand L Rai and Shah Rukh Khan decided to unveil the title of the film, ­­­­­­­Zero and put all rumours to rest. In fact SRK had earlier mentioned in a media meet that they had already locked the title of the film but they were probably waiting for the right occasion to unveil it. In fact, Aanand L. Rai decided to take to social media to talk about making an announcement on New Year day. The filmmaker and his leading man Shah Rukh Khan decided to have a fun banter on Twitter where they had also stated that they would be making an announcement on January 1, at around 5 pm. The makers not just announced the title but also unveiled a sneak peek. It shows SRK dancing to the popular old Hindi song ‘Hum Ko Tum Pe Pyar Aaya’ from the Shashi Kapoor starrer Jab Jab Phool Khile. The film looks extremely massy and pan-India and that would surely help apart from Shah Rukh Khan’s unusual avatar. Sharing the title of the film Shah Rukh Khan took to the micro blogging site saying, “टिकटें लिए बैठें हैं लोग मेरी ज़िंदगी की, तमाशा भी पूरा होना चाहिए! As promised, here’s the title of @aanandlrai ‘s film. @AnushkaSharma #KatrinaKaif @RedChilliesEnt @cypplOfficial #2ZERO18”. While we sure are happy that the much talked about film that sees Shah Rukh playing a dwarf has finally been titled, Bollywood Hungama were the first to report last week that the title of the said film would being with the letter Z. Talking about the film, Zero features Katrina Kaif and Anushka Sharma in lead roles and will also have many B-Town A-listers making special appearances in the film. The film is looking for a Christmas release next year and is scheduled to hit the silver screen on December 21, 2018.